Mosqueda-Lewis was held scoreless (0-4 FG, 0-4 3Pt) but managed two rebounds during the Storm's home playoff win versus the Mercury on Sunday. Across six minutes of action, Mosqueda-Lewis didn't score in the playoff win Sunday as she missed all four of her three-point attempts. In the regular season, the 25-year-old added 5.1 points and 1.5 rebounds over 33 appearances. Mosqueda-Lewis didn't score (0-4 FG) in Monday's 96-80 win at New York. Mosqueda-Lewis had a miserable performance off the bench Monday, failing to score over four field-goal attempts while not providing any other statistical contributions. In 28 games this year, the fourth-year forward is still averaging almost 1.5 more points than last season though. Mosqueda-Lewis collected three points (1-6 FG, 1-4 3Pt) and one rebound during the Storm's 92-72 win over the Fever on Tuesday. In just over 14 minutes off the bench, Mosqueda-Lewis had a rough shooting performance, knocking down just one three-pointer over six total field-goal attempts to finish with three points. The 25-year-old has scored only nine points in her last five games and she is adding 5.5 points and 1.6 rebounds over 25 outings this year. 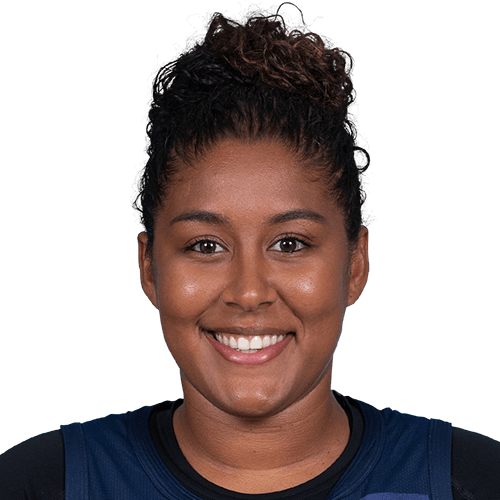 Mosqueda-Lewis suffered a concussion during the first quarter of Tuesday's game against the Sparks and has been placed in the WNBA's concussion protocol. Concussions often have varying timelines for a return to action, so it's not immediately clear how long Mosqueda-Lewis will be sidelined. Her next chance to take the floor arrives Saturday against Dallas, however, so she'll have several days to recover. In her stead, Alysha Clark, Natasha Howard and Mercedes Russell are all candidates to see extra run. Mosqueda-Lewis contributed eight points (3-7 FG, 2-3 3Pt) and two assists in the 95-86 win at Atlanta on Friday. Mosqueda-Lewis was the leading scorer off the bench for Seattle on Friday, mainly by converting a superb two-of-three mark from three-point range. In her fourth year, the 25-year-old is currently averaging career highs in points, rebounds and assists with 6.3, 1.9 and 1.0 respectively. Mosqueda-Lewis had 12 points (5-11 FG, 2-4 3Pt), one rebound and one assist during Tuesday's 91-79 loss at Minnesota. This was Mosqueda-Lewis' four double-digit scoring performance of the year, as she finished with 12 points on 45.5 percent shooting overall from the field. In 15 games played so far in 2018, the 25-year-old is averaging 6.1 points, 1.9 rebounds and 1.0 assist per outing. Mosqueda-Lewis (calf) finished Saturday's 90-94 loss to the Wings with zero points (0-2 FG, 0-2 3Pt), one rebound and two assists across six minutes. Mosqueda-Lewis was playing through a left calf injury Saturday, so that could have been the reasoning for why she only saw a handful of minutes. Either way, the calf injury isn't expected to linger much longer, so look for Mosqueda-Lewis to continue to take the court moving forward. With averages of 4.9 points and 1.4 rebounds across 10.1 minutes, Mosqueda-Lewis can likely be avoided for DFS purposes. Mosqueda-Lewis is probable for Saturday's game against the Wings with a left calf injury. It's not exactly clear when Mosqueda-Lewis suffered the injury, though it appears to only be minor, as she's likely to take the floor Saturday. However, for DFS, it may be best to avoid deploying her if she isn't 100 percent. Mosqueda-Lewis recorded three points (1-2 FG, 1-1 3Pt), two rebounds and one assist during the Storm's 81-77 win over the Mystics on Tuesday. Across just under 14 minutes, Mosqueda-Lewis wasn't much of a factor offensively, as she drained her only three-point try for a total of three points Tuesday. At nine minutes per game, the 25-year-old forward is averaging 4.2 points and 1.0 rebound through five games played in 2018. Mosqueda-Lewis and the Storm agreed to a multi-year contract extension Wednesday. Mosqueda-Lewis fought through injuries last season, limiting her to just 18 games played. In those games, she saw 11.1 minutes, averaging 4.6 points and 1.2 rebounds. Though her numbers don't pop off the page, she's still just 24 years old and has been a solid part of the rotation since her 2015 rookie year. 2013-2014 Lincoln Regional MOP and spots on the All-NCAA Tournament and All-American Conference Tournament teams.